Most of us don’t want to read the same plot over and over. Sure, we have favorite books we’ll read again, but sometimes novels of a particular genre can feel too similar. So while I love young adult books, I like books that aren’t formulaic. While this is a mixed bag of plots and styles, all the books feature young people who have to grow up fast in order to face adversity, some of which is of the life-and-death variety. Survival comes in many forms, whether staying alive in a dystopian future or simply getting through high school. While the main characters are very different, they’re all people to root for. From non-stop action to pure sentimentality, the books will take you through a range of emotions. One of the more timely books comes from the very creative Bob Jeschonek in the form of Unbullied, which follows a group of teenage victims who turn the tables in a very clever way. Revenge is also a dish served at the high school cafeteria. A young adult bundle would not be complete without some science fiction and a touch of dystopia, so we have a few entries in that department. Heidi Tankersley’s The Mod Code explores the future of genetic engineering and does so with a strong heroine and a love triangle. Darcy Pattison’s Sleepers takes you into the mind of aliens from another planet who desperately need a new place to live. And Earth has location, location, location. And N.W. 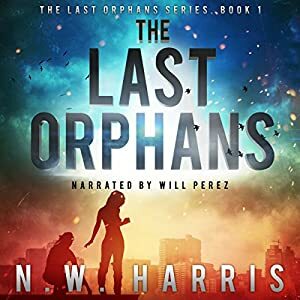 Harris’ series The Last Orphans gives us a chilling look at an apocalypse that wipes out all the adults and leaves children to fend for themselves. Back in present day, Chrissy Wissler’s Swing Away takes you to the sports page… inside the mind of a female softball player who learns that life is not a hanging curveball over the middle of the plate, especially when you have a famous dad. For pure sentiment and emotion, you’ll love Space in the Heart from Rodney Walther, the story of a physically challenged girl and her widowed father, both seeking something similar. And the spiritual tale Two Weeks in Guyana from Laura Ware follows a teen who learns valuable life lessons on what he thinks is the vacation from hell. Finally, some politics from yours truly. The Girl in the White House is basically Red Dawn meets Die Hard, with the President’s teenage daughter playing the part of Bruce Willis as she leads a group of kids against terrorists in an effort to save her father. (And one of the few books with “girl” in the title that features an actual girl.) The Ascendant takes us far into the future as a spunky teen takes on an elite government obsessed with control when discovers a past which has been hidden from society. Plus, as a bonus for StoryBundle newsletter subscribers, you get The Last Orphans – The Last Orphans Series Book 1 for free! 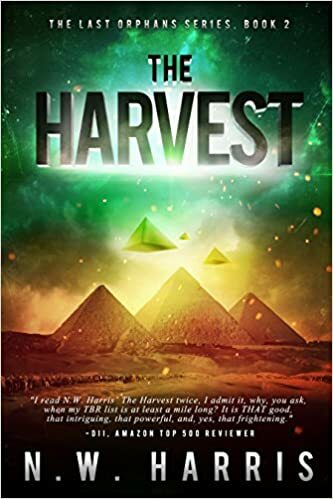 Grab that before you start on the sequel, The Harvest – The Last Orphans Series Book 2 by N.W. Harris, part of the bundle itself. • Pay what you want (minimum $5): You decide how much these fantastic books are worth. If you can only spare a little, that’s fine! You’ll still get access to a batch of exceptional titles. • Give to worthy causes: Bundle buyers have a chance to donate a portion of their proceeds to Mighty Writers and Girls Write Now! 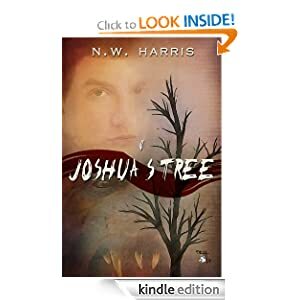 Clean Teen Publishing is proud to announce that the second book in The Last Orphans Series by N.W. Harris is now available in audio book format! Get ready to experience this exciting young adult science fiction novel in a whole new way. Download your copy today! Take a deep breath before you start The Last Orphans Series. This action adventure series filled with cinematic science fiction action, end of the world apocalyptic events, and heart pounding thrills will leave you enthralled from beginning to end. Fans of The Hunger Games by Suzanne Collins and The Maze Runner by James Dasher will love this teen fiction series. With over 500 five-star reviews on Goodreads, this is definitely the series you should listen to next! Determined to safeguard the children under their charge, Shane and his friends compete for the ultimate prize – a suicide mission against the flagship of the alien fleet. While Shane’s feelings for Kelly deepen, along with his need to protect her, he finds emotions clouding his judgment. He’ll gladly die for her. But he refuses to die with her. No amount of training can prepare them for what is to come. Everything the brave teenagers have endured thus far will be eclipsed, with the freedom of humanity hanging in the balance. It’s release day!!! Darkest Days, The Last Orphans Book 4 is now available as an ebook everywhere ebooks are sold–Thanks for reading! Here’s the new cover for Darkest Days, The Last Orphans Book 4. Took over a year to write this book, so excited to see it published. 🙂 Release date is 5/22/17. We’re changing the pace for a moment for a book and switching to a post-apocalyptic series. I think it was think to change the pace a little from those cheesy and steamy stories. Some had their merit but I wanted to go back and read some YA novels to just take a little break. 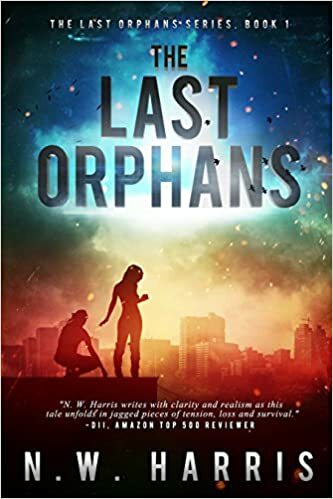 Digging through my Kindle books, I found this one called The Last Orphans by N.W. Harris. This series, to date, as three novels. Whether its ended or not, I don’t know because I haven’t done more research yet. Still, it looks promising.